Providing you the best range of polyhexamethylene guanidine (phmg), polyhexamethylene biguanide (phmb), benzalkonium chloride, glutaraldehyde, microbiocide and didecyl dimethyl ammonium chloride with effective & timely delivery. Polyhexamethylene guanidine (PHMG) acts as cationic polymeric disinfectant which is composed of guanidine as its active component. It is a colourless odourless disinfectant that is non irritating and non harmful to most materials. It forms thin deposits on the objects and surfaces and helps to eliminates germs and bacteria by penetrating in their cell wall and choking off the channels necessary for their survival. In addition to this, it presents several advantages such as shows stability at high temperature, has a long lasting effect, easily soluble in water, completely eco friendly, non corrosive to most of the metals, wood, plastics and rubber. It finds application variably as a hand disinfectant, for instrument and surface disinfection. PHMG has a long lasting effect and is useful for treatment before surgical procedures to avoid re-contamination. PHMG also finds its use in Poultry Disinfection, Aquaculture, etc. 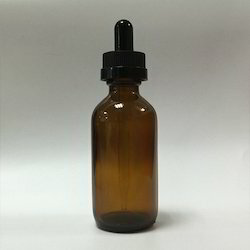 It is used in combination with QAC and Aldehydes. Polyhexamethylenebiguanide (PHMB) serves to be an antiseptic or disinfectants, also known as polyaminopropylbiguanide and polyhexanide. It is effective against a broad spectrum of microorganisms such as Escherichia coli, Candida albicans, Pseudomonas aeruginosa, Staphylococcus aureus. It finds application in many wound care products and is compatible with a wide gamut of aqueous based personal care formulations as preservatives. It also manifests as disinfectant of industrial fluids such as drilling oils, polymer dispersions, mineral slurries, polymer resins, and protein glues etc. Serves to be a preservative in the cosmetics products such as shampoos, skin creams, skin lotions, baby products, and wet wipes. Acts Disinfectants for swimming pool and bathing water. 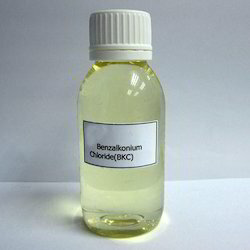 Benzalkonium Chloride serves as a broad spectrum terminal disinfectant. It is used for versatile applications for surface and water through out food and beverage industries and institutions. Glutaraldehyde is an aldehyde compound with chemical formula CH2 (CH2CHO) 2. It is a pungent colorless liquid. 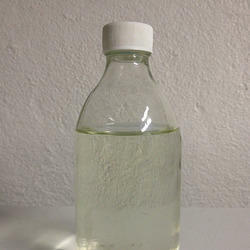 Glutaraldehyde is used to disinfect and sterilize various equipments, surface and water. It functions as a biocide and is also used for industrial water treatment. Glutaraldehyde has also been reported to be used as: a disinfectant for air ducts; a preservative in the printing industry; an intermediate in the production of adhesives, sealants, poly hydroxy materials, pharmaceuticals, pesticides and crop protection agents; and an embalming agent. Glutaraldehyde with Activator is used to disinfect hospitals, effective non-tainting mix for a wide range of medical instruments. 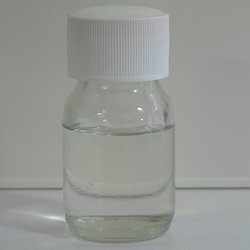 A microbiocide can be regarded as any biocidal compound or substance that is generally designed to help in the reduction of the infectivity of microbes, such as viruses or bacteria. Chemtex Speciality Limited manufactures a wide range of microbiocides based on quaternary ammonium compounds, per acetic acid, iodophores, silver hydrogen peroxides, aldehydes and compounds thereof. Chemtex Speciality Limited is an ISO 9001, ISO 14001 and OHSAS 18001 certified manufacturer and supplier of Microbiocide. We have been in this field of chemicals for over a period of 46 years and we will continue to extend our services towards enriching the circadian operations of other industrial sectors. Didecyl Dimethyl Ammonium Chloride or DDAC, formulated by Chemtex Speciality Limited, manifests as a quaternary ammonium compound that has been formulated to be used as a multipurpose disinfectant and it finds its synergy with other QACs and aldehydes. It is a clear to pale colored liquid with aromatic odor. Didecyl Dimethyl Ammonium Chloride or DDAC serves as an antiseptic/ disinfectant that is used in many biocidal applications. They help in causing disruption of intermolecular interactions and dissociation of lipid bilayers. They are referred to as broad spectrum bactericidal and fungicidal and can be used as a disinfectant cleaner for linen, recommended for use in hospitals, hotels and industries. 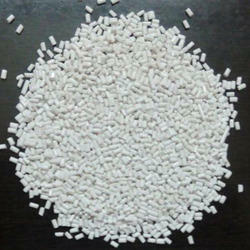 Calcium hypochlorite is an inorganic compound with formula Ca(ClO)2. It is a white solid, although commercial samples appear yellow. It strongly smells of chlorine, owing to its slow decomposition in moist air. It is preferably used in soft to medium-hard water.Chemtex’s Calcium Hypochlorite in powder form contains more amount of available chlorine compared to sodium hypochlorite. It also reports low chlorine loss owing to the absence of heavy metal impurities. Main applications of the product include sanitation of public swimming pools and disinfection of drinking water. Chemtex Specialty Limited is involved in the manufacturing of different types of disinfectants and biocides to be used in various applications of the sugar processing industry. ADBAC or BKC is a broad spectrum terminal disinfectant and biocide used for various applications for surface, water and air disinfection throughout the Sugar Processing Industry. CHEMTEX'S ADBAC is a broad spectrum terminal disinfectant. It is used for versatile applications for surface and water in various applications throughout food and beverage industries and institutions. 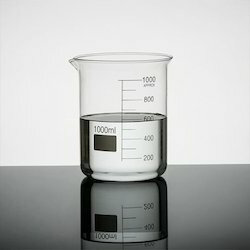 Silver Hydrogen Peroxide is Hydrogen Peroxide stabilized with the use of silver salts like silver nitrate or silver Nano particles; this stabilized blend of hydrogen peroxide and silver, together known as silver peroxide proves itself as a potent and overly powerful biocide effective on a wide range of microorganisms. 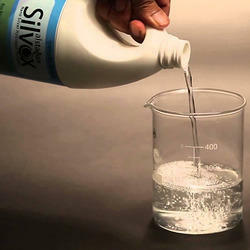 Silver Hydrogen Peroxide is a multipurpose disinfectant with an extensive variety of uses/ applications. The silver in hydrogen peroxide acts on the DNA, while the hydrogen peroxide is destructive on the microbial cell walls, making this hydrogen peroxide with silver work on a double stage.